Not sure what gift to buy the stand up paddle boarder on your shopping list? Our staff of paddle board experts have come up with the definitive list of "must have" paddle board gifts to help make shopping for the paddle boarder in your life quick and easy! Shop now from our complete list of paddle boards and paddle board accessories that will make the perfect gift for any paddle boarder, or soon to be paddle boarder! 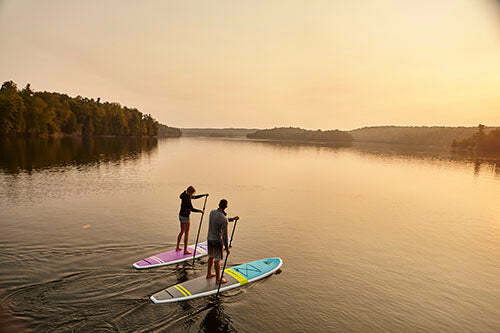 The Cruiser SUP Bliss and Fusion series are available in multiple sizes and colors, meaning there is a Bliss or Fusion for anyone on your shopping list. 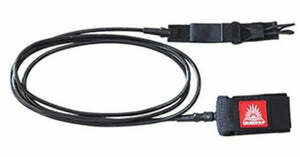 The Bliss and Fusion are easy to use, stable, and include an industry leading 2 year warranty. 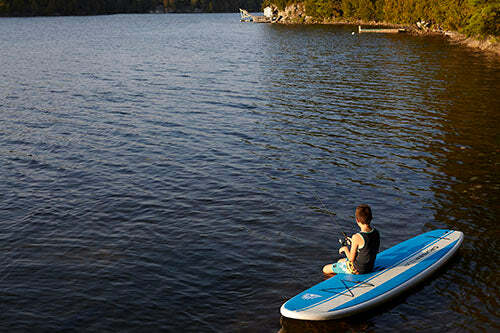 Featuring Cruiser SUP's Feather-Lite Molded Wood/Fiberglass/Carbon technology, full deck pad, and plenty of deck attachment points for all your gear. As always, free shipping*, free paddle, and no sales tax in most states! Carbon SUP paddles come in both adjustable, and non adjustable options and are the lightest and highest performance SUP paddles available. Starting at just 21oz these paddles are sure to please anyone on your shopping list. 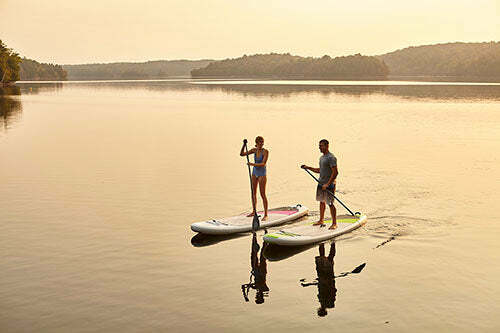 Inflatable paddle boards are some of our favorite models. They are light, tough, and when deflated incredibly easy to store and transport. Offering nearly the same performance as non-inflatable paddle boards, the Crossover Air SL Inflatable SUP comes in several sizes and colors. 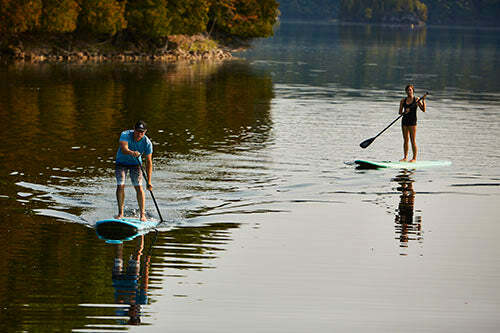 Inflatable SUP's allow you to give a SUP as a gift without giving the storage and transportation headaches that come along with non-inflatable paddle boards. Give the gift of SUP safety this holiday season. A paddle board leash attaches from the back of the paddle board to the riders ankle so that the rider can not become separated from their board if they fall off. The Deluxe Flat Water Coil Leash is ideal for calmer waters, the Deluxe Straight SUP Leash is for both flat water and surf, while the Bomber SUP Leash is dedicated for larger surf or white water paddling. 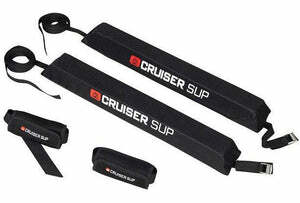 The Cruiser SUP Performer series offers durability, a full wrap deck pad, and lots of deck attachment points all in a light weight construction. Available in several colors and 3 sizes, there is a Performer to suit all tastes and riders. Stable and easy to use, the Performer is especially popular for riding with pets, kids, or doing Yoga thanks to the durable and comfortable full wrap deck pad. A great gift idea for paddle boarders who have boards, but don’t have a roof rack on their car. The Cruiser SUP Soft Roof Rack installs and removes in seconds, and is a safe and reliable way to transport a paddle board without the need for costly permanent roof racks. 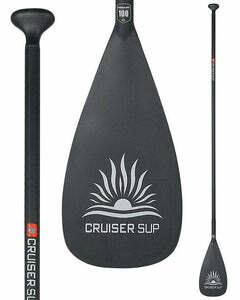 The Cruiser SUP Dura-Maxx offers the ultimate in durability, versatility, and stability. 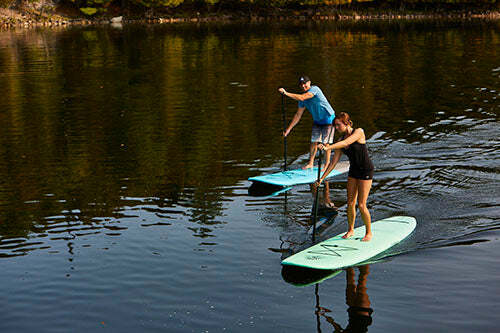 With a full deck pad, the 10’6 is great for paddle boarders up to 250 pounds, and over 300lbs on the 11’4. The super durable polycarbonate shell construction makes this stable and easy to use paddle board a great gift idea for families or those that will share the board with others. The Performer All-Terrain is the ultimate all around board. Available in 7'11" through 11'4", the Performer All Terrain is ideal for cruising, surfing, and everything in between. Featuring a premium full wrap deck pad, the light weight Performer All Terrain is comfortable and durable. A must have for riders looking for one board to do it all! Available in sizes ranging from 10'0" through 11'6", the Blend series is nothing short of stunning. The mesmerizing Blend features visible Paulownia wood that allows the rich grain of the natural wood veneers to be visible. Available in 3 color options, the Blend will suit all sizes and color preferences. The Blend is an perfect blend of impressive tracking, speed, ease of use, and stunning graphics. 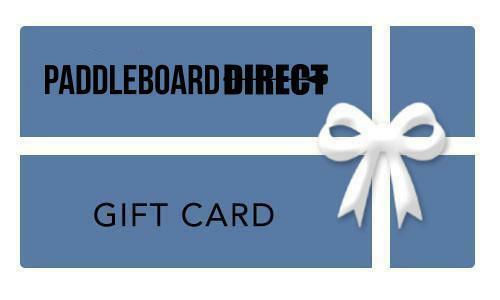 Available starting at only $10, Paddleboard Direct Gift Card is a great way to let the SUP paddler in your life pick out exactly they want. Great if you want to help someone with a larger purchase like a new paddle board.